A case of the "should I's"
It’s that time of year again, I am bombarded with the “should I’s” and what are those might you ask… Should I get the flu shot? What should I do if I don’t? What should I do if I do get the flu? And you guys know how I feel about should, right? Like, should, should be a swear word because you should only do what is optimal for you to do, right? 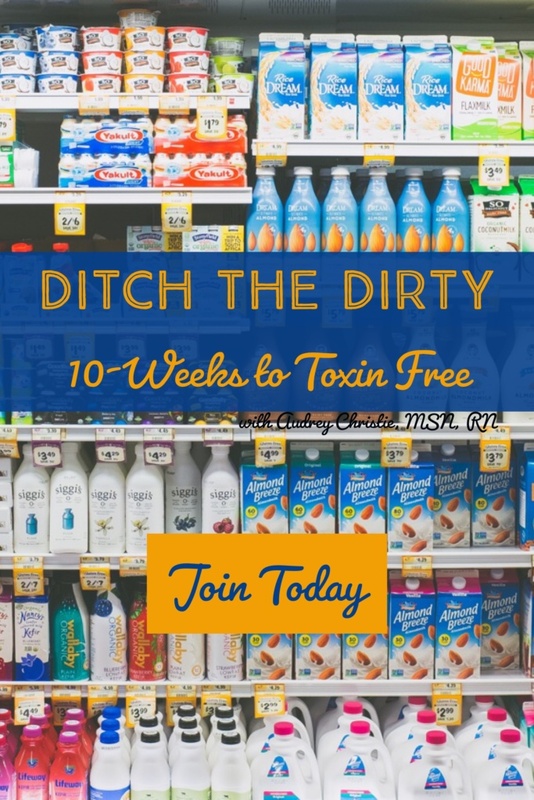 In all honesty, I LOVE answering questions, even “should I’s,” You see our health and wellness depends largely on what we put into our bodies. For a long time, it was thought, even in the science community that you were just dammed to your genes. That’s just not the case, we have discovered in the last decade that what you put in your body, alters your genes, your DNA for the better or worse. When I say “what you put in your body,” for many that conjures up images of nutrition, and yes that is a big part of it. But that isn’t the only part, equally as big is what we put into our body pharmaceutically. And for that matter what we put in our body via our skin and lungs too. Today, because we are right on the cusp of what the news outlets and marketing outlets will call "flu season" we are going to talk about whether or not it optimal to get the flu shot. My goal here is to deliver this information to you in a way that allows you to see both sides, and make an informed decision for yourself. I do absolutely recommend that you do your own research, your own due diligence, and you always, always, always run it through your own intuitive filter. And in fact, if you want me to point you towards some references for you to check and ready studies yourself, I am happy to do that too! 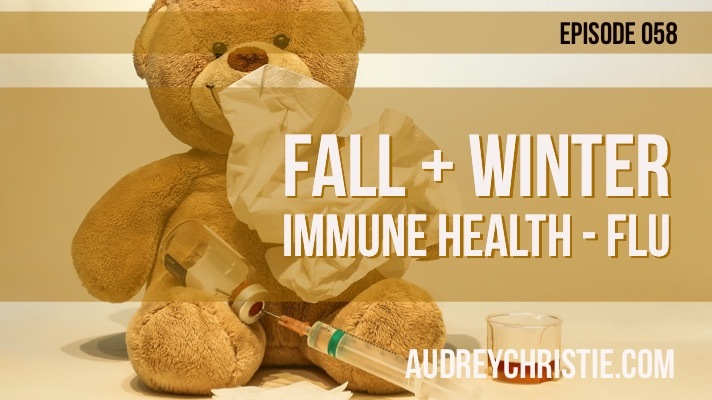 At the end of this episode I will tell you where you can get the Fall + Winter Immune System Cheatsheet, a list of priorities for your immune system this season. Is there really a "flu season?" Let’s dive into this season they call flu season. You think about "flu season" and it's roughly October to, I don't know, around February or March. First, let me share with you, It's not actually a season, okay? There are two main things that happen during that time of year that allow our immune systems to be much, much lower. And guess what? And you may be surprised I'm going to say this, but these things are things that you can easily prevent. There are two big factors. These aren't all the factors. This isn't an exhaustive list, but there are two big factors. One, increase in sugar, and two, a decrease in vitamin D. If you think about it, what happens between October and roughly March? We have Halloween. That's a candy holiday. We have Thanksgiving. That is a sweets and big food holiday. We have Christmas, also lots of sweets. Then in February, we have Valentine's Day, also another big processed candy holiday. The second part of that is vitamin D. October through March, what do we have? We have daylight savings time where we lose hours of daylight. Our days get shorter. The sun is in a position where you can't get as much sun on your skin. You may also live in an area where the climate requires you to cover up, and so you're not getting as much sun on your skin. Those two things really, really, really stop our immune system from being able to fight bacterial and viral infections. If it’s not a season, then why do we call it flu season? Did you can actually go to the CDC's website and pull up the PowerPoint training presentation that is given to city health officials before "flu season" starts. It's actually a presentation to hype-up the population. They give these agencies the exact words to use. Some of these terms include “severe consequences, deadly, worse than last year” and all of these are used to encourage flu shot participation and to train people, train city health officials, train the news media in marketing hype to push people into getting that flu vaccine. Interesting right? That means it doesn’t matter what the actual flu season looks like, it is set in advance how to position it to the public eye. It's the same principle when a new iPhone rolls out. By the time the iPhones get here, people are standing in line around the block. The same thing happens for the flu shots. By the time the flu shots get here, people are standing in line around the block waiting for them. Based on the information that's given is not even factual. It's not based on fact. It's marketing propaganda. Here's the big picture. There's something in vaccines, all vaccines, called an adjuvant. An adjuvant creates an immune response. This immune response is what the effectiveness of the flu vaccine (and all vaccines) is based on. It’s based on whether or not it creates an immune response not whether or not it protects you, not whether or not it creates immunity, but whether or not it creates an immune response. An immune response is not a key factor in effectiveness. Especially because the type of immune response that injecting a vaccine with adjuvants, like thimerosal and different ingredients, causes is one that actually weakens the body's immune system. In fact, you can get the same "immune response" from injecting Windex in your muscles. It's going to cause an immune response. You can get an immune response from ingesting a food that you are sensitive to. You get an immune response from a bee sting, right? But, that does not mean you're protected from bee stings, or even from the effects of bee stings. Now listen, before you get your foil hats, know that I am not a conspiracy theorist that feels like vaccines, or flu shots, or any pharmaceuticals in general are some large plot to sterilize the world. It's really much simpler than that. There's no foil hat required. It's simple greed. The flu shot is an over 1.6 billion, with a B, dollar business. It's unbelievable. Money is the pure driver behind it. The thing that really chaps me is that it's a really unregulated area, so because thanks to some Reagan Era voting, vaccine manufacturers are actually not legally liable for anything that happens to you, or your children, or anyone else because of vaccines. So why not make sure every person wants one and has to have it? I mean, that only makes sense. You have no legal or financial liability, only stuff to gain, so why not turn these out and keep adding them? The studies that the flu shot manufacturers themselves put out, say that medical research indicates that the efficacy of the influenza vaccination is grossly exaggerated. A British medical journal questioned the validity of the studies claiming efficacy and stated that "Evidence from systematic reviews shows that inactivated vaccines have little or no effects." In recent years, the flu shot has been recommended for more and more age groups and populations, and currently, is recommended for everyone, pregnant or not, from six months on into infinity. The funny thing is, is that scientific studies have proven that adding flu vaccine to these extended age groups has not changed the number of doctor visits or hospitalizations in children between the ages of three and five for the flu. Other studies that show that flu vaccinations have not impacted the mortality rate of the elderly population, and yet, we are told that we should all get one, or else. Every year the population grows, and every year the rate of the flu vaccinations also grow. But if you look at the data very, very simply, just looking at does the flu vaccine work based on the number of flu vaccines given, the size of the population, and the number of deaths related to the flu? Does the flu shot work collectively for the population? If the flu shot works, then why are more people dying each year, and why does the trend of the flu death increase much more sharply as we give more vaccines? If the flu shot works, there would be in an inverse relationship between flu shots given and flu deaths/illnesses. If you look at the exact numbers, take for example, adults between 1976 and 2007, the average number of deaths per year was 23,607. This is information from the CDC's website. You can find that at, just Google CDC and flu, F-L-U, V-I-E-W, CDC flu view. And you can look at this information yourself. But, there were 23,607 deaths from the flu and pneumonia between '76 and 2007. In 2014, there were 55,000 deaths. In 2016, there were 57,000 deaths. In 2017-2018 flu season, the CDC’s website quotes, the highest flu death season to date. Counter-arguments from people who feel like the flu is shot is what you have to have to survive from October to March, say that the number of flu vaccines given didn't increase because anti-vaxxers are putting out all this propaganda. But, that's not actually what happened. If you look, the number of flu vaccines given in 2016 compared to 2007, is over 50 million more in 2016. So you might think, okay, well there must be a steep growth in population. Wrong, again. In 2007, 40% of people in the US got flu shots. In 2016, over 60% of people in the US got flu shots. So the numbers just don't add up. If you look at these numbers, the CDC actually lumps together two different diseases to get enough people to make it seem like flu might be an issue, right? So take 2001, for example. This is the year that adds to that 23,000 average I just mentioned. The CDC said that in 2001, 62,000 people died of influenza and pneumonia. If you dig a little deeper, you'll discover that only 257 people actually died of the flu, and only 18 of those cases were actually linked to the flu virus itself. It's kind of interesting, right? Now, they use that as a justification to push the flu shot because pneumonia is a flu-related complication, right? That's got to be what it is. Possibly. But, pneumonia is a factor in all sorts of medical conditions that are entirely unrelated to the flu, like any medical condition that causes you to lay flat for a few days. And then can also be caused by tons of other pathogens, flu-like sickness, antibiotics, overuse of antibiotics, which wipe out the good bacteria your body needs to prevent disease, vaccinations, and guess what else can cause pneumonia. Wait for it. The flu shot. If you look at pediatrics, in recent years, recent-ish years, they started recommending that kids, six months of age and older, receive the flu shot. In 2001, 13 children died of pneumonia and flu. In 2002, 12 kids died of pneumonia and the flu, and this is in the six months to five years age range. 2003 was the first year that the CDC recommended flu shots for kids five years and under. In that year, the flu deaths were 90 children, 90 children between six months and five years. The flu shot is now being recommended for pregnant women. Did you know, and you guys can request the studies from me and I'll send them to you, I have the full-length studies on all this information, pregnant women have a 670% increased risk for spontaneous abortion when they receive the flu shot? And then, there's 150% increase in risk in spontaneous abortion for women who got the flu shot in the first trimester. Don't get the flu shot if you're pregnant. You can talk about getting the flu shot for your kids. You can get the flu shot for your grandmother. You can get the flu shot for your partner, but I beg you, if you hear nothing else, don't get the flu shot if you're pregnant or thinking of becoming pregnant. Those are the numbers. That's why the science actually shows us that is what the industry studies from the manufacturers and CDC themselves actually show us. Science points to not getting the flu shot. I can't find any science for getting the flu shot. None of it pans out. If you have science or studies on why getting the flu shot is a good idea, why its safe, why it works please send me those studies, you can email them to me at acm@audreychristie.com or call my office 940-441-7637. I would love to see them. And so, I assume my inbox is going to be either full of hate mail, or love mail, or maybe a couple studies, but I've been unable to find them through my extensive libraries of studies and sources. What to do I do instead of the flu shot? Now, let's talk about the important stuff, right? So if you're not getting the flu shot, and frankly, I hope you're not, then let's talk about how to prevent it, okay? Because you can prevent the flu and all of the other bacterial and viral illnesses lurking around. We know that immune health lives in our gut, right? Immune health, our weight, our mental health, a lot of that lies right in our gut, so we want to make sure we're taking good care of our gut. How do you do that? You want to make sure you're taking a good quality probiotic with at least 50 billion CFU per day. You want to take a good quality omega-3, about 3,000-5,000mg per day. You want to take a good quality vitamin D.
These three things are the top priority to help your immune system. Everyone, children too, should be doing these things. On the Keeping Up Your Immune System Cheat Sheet I give links to find these supplements for adults and kiddos. A good adaptogen is also important, this can be used preventatively AND if you do get sick. One of my very favorites is something called Forest Folk Fungi Elixir. It is, is a mix of elderberry juice and reishi mushrooms. It does a really good job supporting the immune system. Elderberry, you may have heard of, is great for antiviral properties, and really makes you feel better. Reishi mushrooms also have antibacterial and antiviral properties. This mixture also includes a little bit of wild mountain honey. This is a product I stock, but it goes super fast, especially this time of year. I will include the link on the show notes page. You can also make it yourself, but you've got to make sure you get good quality reishi. This Elixir is both a preventative and a remedy. At our house, we do a dropper full a day for each member of our family, every single day, maybe two or three dropper fulls if somebody's feeling a little bit under the weather. Reishi mushrooms, by the way, are actually great for a lot of things, anxiety, sleep, liver detox, allergies, and asthma, and can reduce your risk for infections and viruses. Reishi mushrooms are something called immune modulators. They bring the body back into balance and regulate the immune system. Whereas, a lot of things that you take for your immune system, if you take too much, can actually aggravate, but reishi is an adaptogen, so it modulates, it brings the body back into balance. Of course, there are some extra courses of action to take too. One is essential oils, I like to use and recommend an immunity blend for essential oils. Plant Therapy has a great one. We diffuse it occasionally in the house, and then we can also put it on the bottom's of our feet during October through April. Sleep is such a key factor, good quality sleep, so if you aren’t sleeping...let’s talk. Grounding is also key, if its too cold to put your bare feet on the earth, try touch a tree bare handed, or even getting one of these grounding mats for your bed or under your desk. You can also energetically ground yourself too. Other things that you can use for prevention are crystal, of course. You can use green calcite, emerald or aventurine. You can use rose quartz. These are associated with the heart chakra. 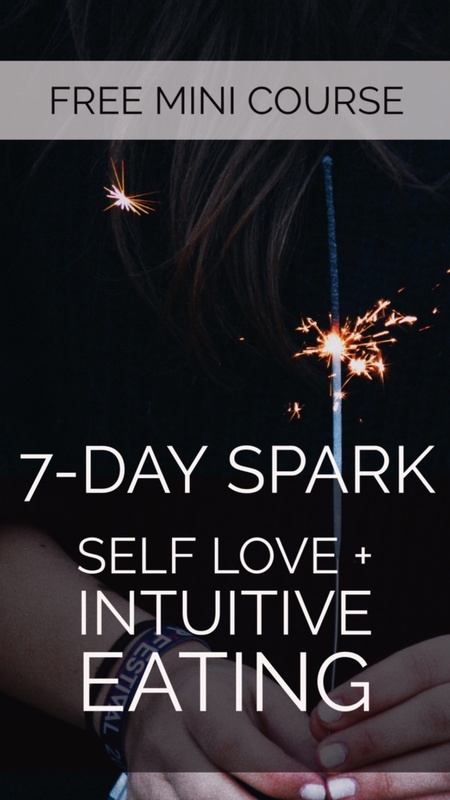 You can also use yellow with the solar plexus chakra. You can use carnelian for the root chakra. And then, amethyst is sort of the Jack-of-all-trades, right? You place these at pulse points to boost your immune system. More remedies are, like what happens if you get the flu or get a virus? So, quite simply, rest, bone broth, vitamin D, grounding, take your Forest Fungi Elixir, and you can also make honeysuckle tea, which you buy dried from Amazon to make the tea. I'll include the link to the show notes. If you happen to get a virus or even the actual flu or any other illness we are going to talk all about that in the next episode, 059. In short, rest, bone broth, vitamin D, grounding, and keep taking that Elderberry Reishi Elixir! Also, some honeysuckle tea will work beautifully and some vitamin C.
The last thing I want to talk to you about is how to energetically prevent the flu and remedy the flu. It's a little acupressure technique called the thymus thump, the thymus thump vibrates and stimulates the thymus, which is an important part of your immune response. The thymus is right behind the sternum, right in the middle of your chest, you can tap that pretty soundly. When you tap that pretty soundly and it vibrates the thymus and it helps stimulate your immune system. Consider what I'm telling you about the flu shot. If and when your healthcare provider says, hey, let's give you the flu shot. It's safe. Then, please ask them to read you the warnings on the package insert. Ask them if they can cite any studies for safety for your age, population, health status. Recall that germs only live in environments conducive to their growth. If your gut is healthy, if your body is healthy, you can keep the germs at bay. Have you ever seen a magnet, a magnet, a maggot or a parasite hanging out in your clean house? No. You find them in the trash cans. Well, you also find dirt, and rotting food, and poop, and bugs because bacteria, just like maggots, are opportunistic scavengers, and they, by nature, they just can't exist in a healthy environment, in a healthy body. That's why diseases and all these things are more prevalent in third-world countries because conditions are unsanitary and nutrition is lacking. Same germ, different environment. True disease prevention occurs by making the body so healthy that no germ can survive in it.